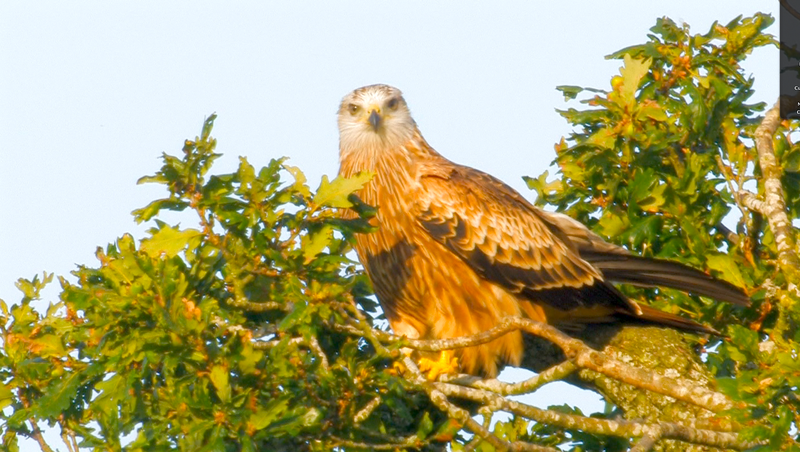 The numbers of red kites visting have mushroomed these past weeks and their time keeping is normal now too. The Rooks have returned so giving the kites confidence to come in right on time each day usually.. There have been a few hiccups. like yesterday, when a large silver car followed the tractor into the kite feeding area. This spooked the crows and kites alike and left photographers fuming as the light had somewhat diminished by the time the birds came in. The two red kite rehabilitation patients have left for the skies, LO and £ were the tags. 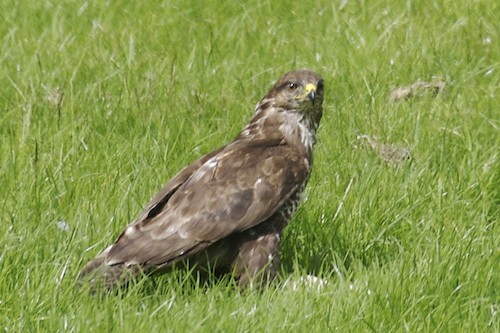 £ was seen feeding on the ground at feeding time yesterday. That still leaves the buzzard who is still producing new primary feathers. ITV again showed Country Wise on Monday evening and featured a visit to Gigrin Farm. The episode should soon be available on the ITV PLAYER site. Our web site went into spasm with the numbers of visitors quadrupling following the programme. Please accept our apologies if you were left frustrated by the unresponsive pages. BBC were filming here yesterday (programme details will be available at a later date). I have to say that the crew were wonderful and it was the most relaxed I've ever been while in front of a camera!